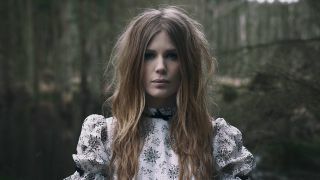 Myrkur’s new album, Mareridt, is the hottest new album in metal. But just as her stock is rising, a podcast interview with Zombitrol from May 2016, has embroiled her in controversy and accusations of Islamophobia. As the interview goes on, interviewer Andrew Epstein suggests that there are Muslims who live in Denmark who maybe aren’t hardline, instead opting to celebrate the holidays etc. How has your experience of religion shaped you and your attitudes personally? Some time ago you made some controversial comments about Islam that came across as borderline xenophobic. Can you clarify exactly what you were trying to say? When you said you felt that Islam was ‘invading’ Europe, what were you trying to say? Many Muslims have grown up in and contributed positively to societies across Europe. Can you see why some people would take those comments as Islamophobic or even racist? Does your attitude towards Islam differ to how you feel about any other religions in particular? Why if so? You seem to attract a lot of white supremacist followers judging by comments on your videos etc. What do you think of those people? Would you want to distance yourself and your music from that scene? What do you think? Is Myrkur right to question Islam’s attitudes to women? Or are we more sensitive about negative comments about Islam than we are about similar comments towards Christianity?